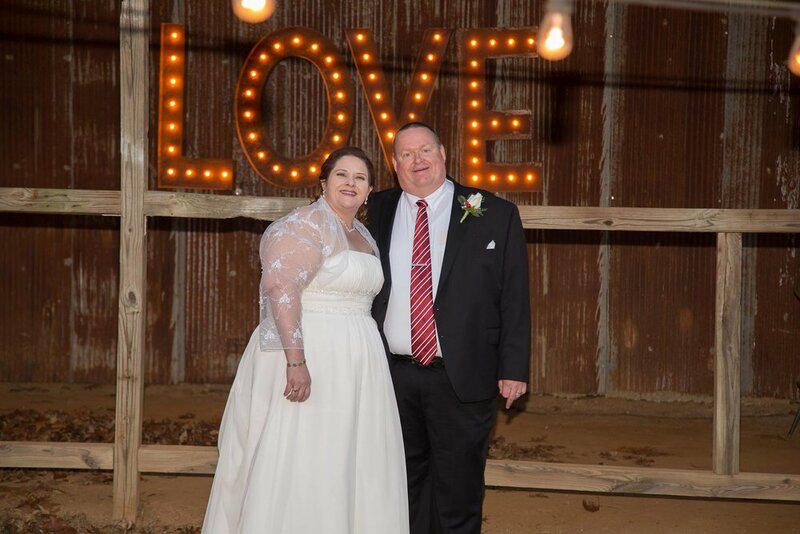 Cherie and Anthony were married at The Barn at Twin Oaks Ranch on December 2, 2017. Their color palette included black, white, red and silver, and they had such a unique theme - which we’re calling Charles Dickens Christmas. "We used books and Christmas as the basis for our theme," Cherie said. 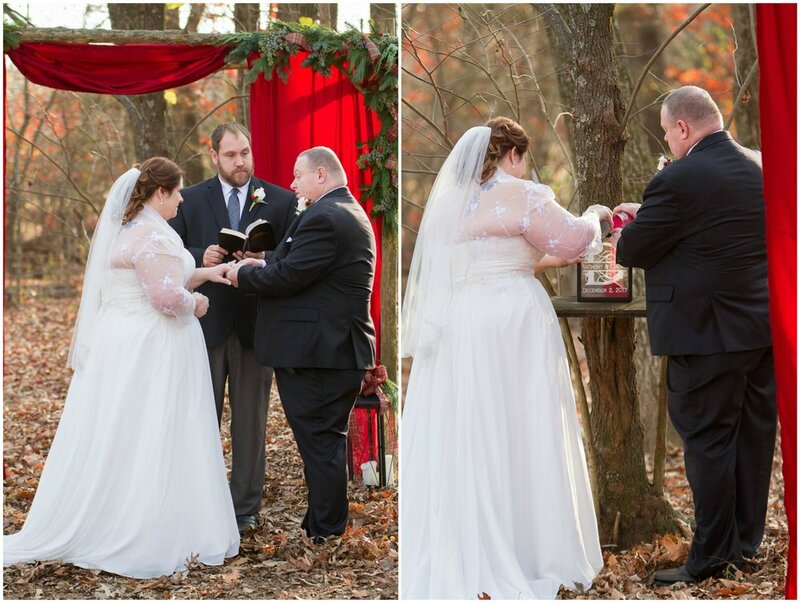 A friend of the couple, Sam Hagadorn, took these photos, and we love them! Cherie's bouquets and florals were festive and beautiful! They included red and white roses, red currants and silver Christmas decor. Literally the most perfect Christmas florals! Cherie's beautiful dress came from David's Bridal. We never get tired of a timeless strapless dress, and this one had the prettiest, most delicate beading and lace! Cherie's maid of honor wore a gorgeous black and red ombre gown, and Anthony and his best man wore classic black tuxes with red ties. Maybe the classiest bridal party ever! 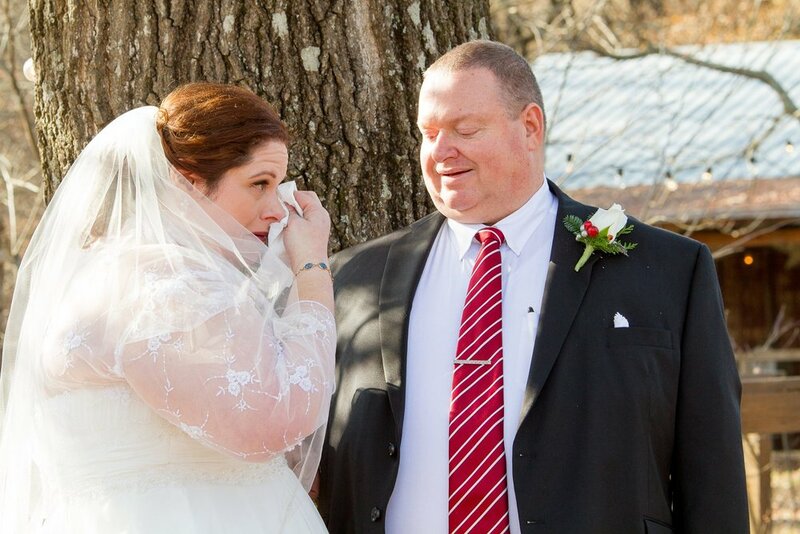 One of Cherie's favorite memories from her wedding day was her first look with Anthony. These two are so sweet, and these pictures are totally melting us! 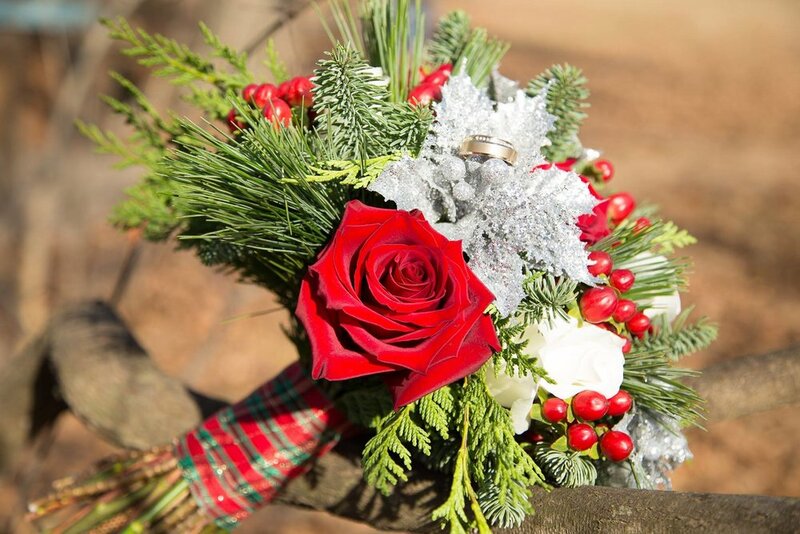 Cherie and Anthony's ceremony details were full of red, festive greenery, and beautiful, simple florals. 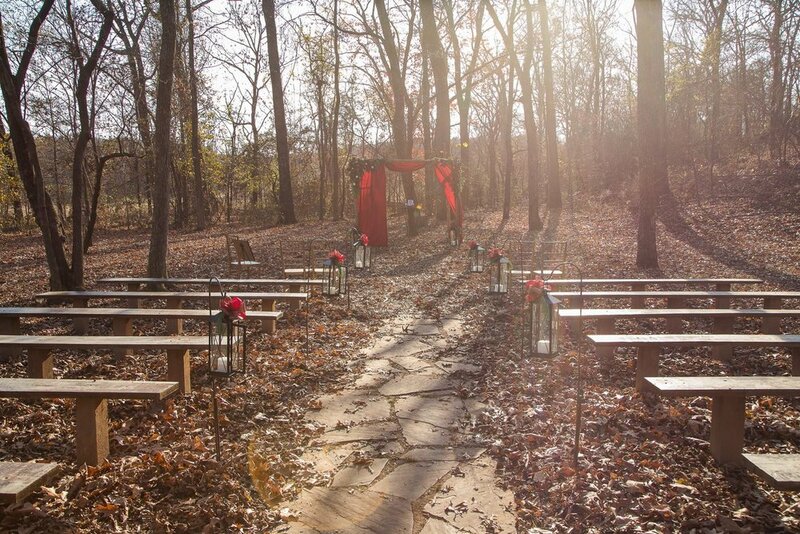 Their altar was draped with bold red fabric and included red and white roses, loads of greenery, and festive red ribbon. At the base of their altar were two lanterns, which also lined their aisle. "Our guestbook was a copy of Charles Dickens' A Christmas Carol and was rebound to be our guestbook," Cherie said. 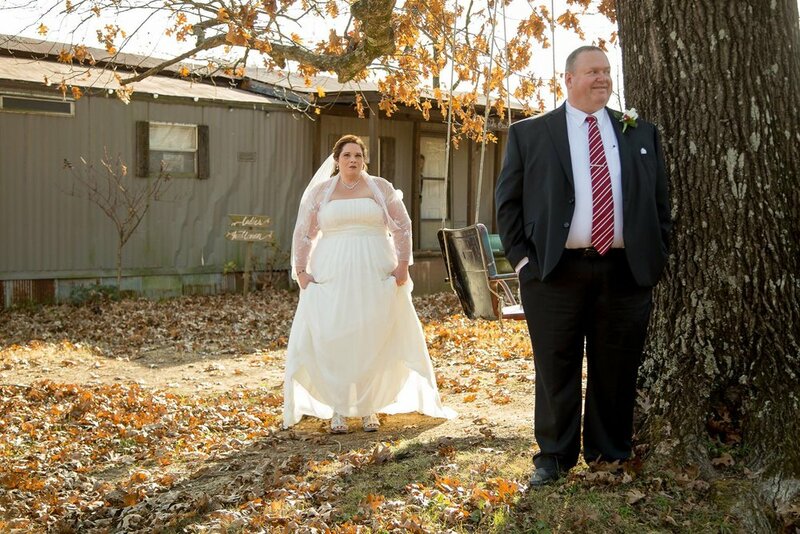 Another unforgettable moment of her wedding day for Cherie: "walking into The Barn for the first time," she said. "It was absolutely beautiful." 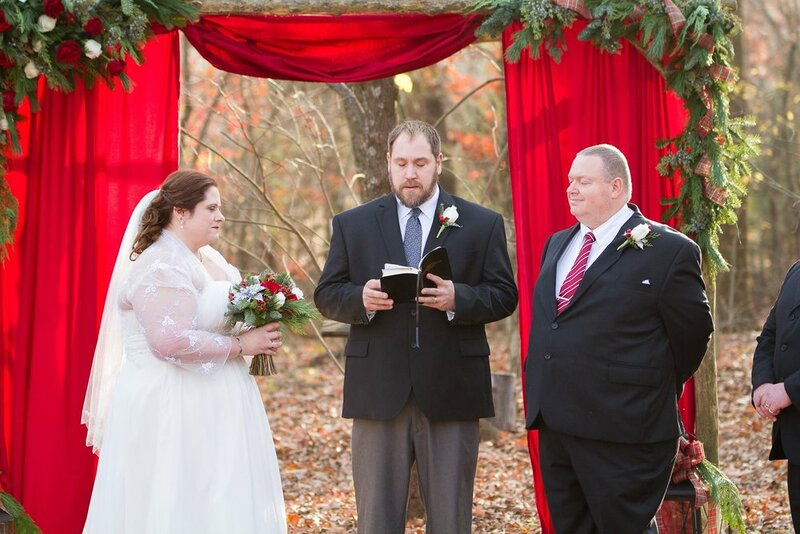 Their ceremony details were festive, romantic, cozy and beautiful. 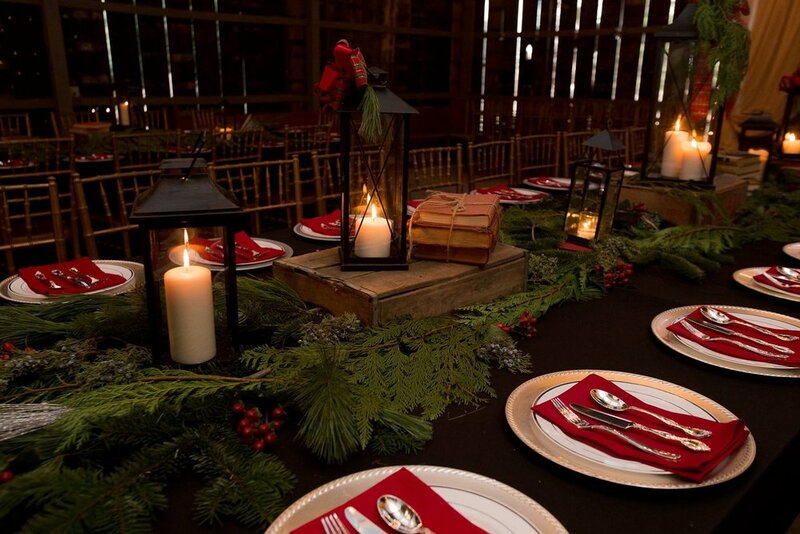 Their tables included black tablecloths, red napkins (the prettiest pop of color), loads of festive greenery and red berries, stacks of books, lanterns and candles. The lighting was SO dreamy and cozy inside The Barn for this reception. 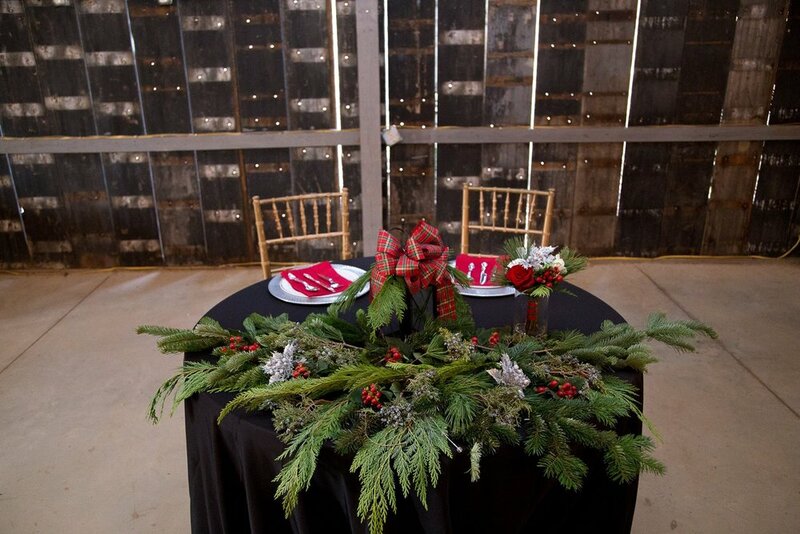 "The draping in The Barn added just the right touch of intimacy and warmth," Cherie said. "We had a card catalog box on the grooms table," she said. "Books were scattered everywhere. We had pictures of our parents on their wedding day alongside our engagement photo." We loved these details! Two of my favorite details from this reception were the cakes. Cherie's cake was super simple and classic, while Anthony's amazing groom’s cake was more detailed and totally fit the theme of their wedding. 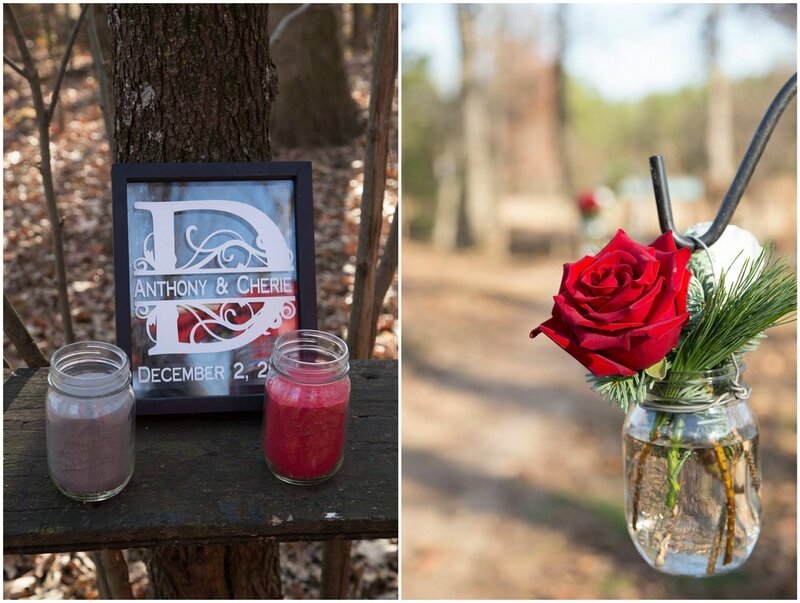 Cherie and Anthony sent their guests home with custom bookmark favors (the cutest detail!). 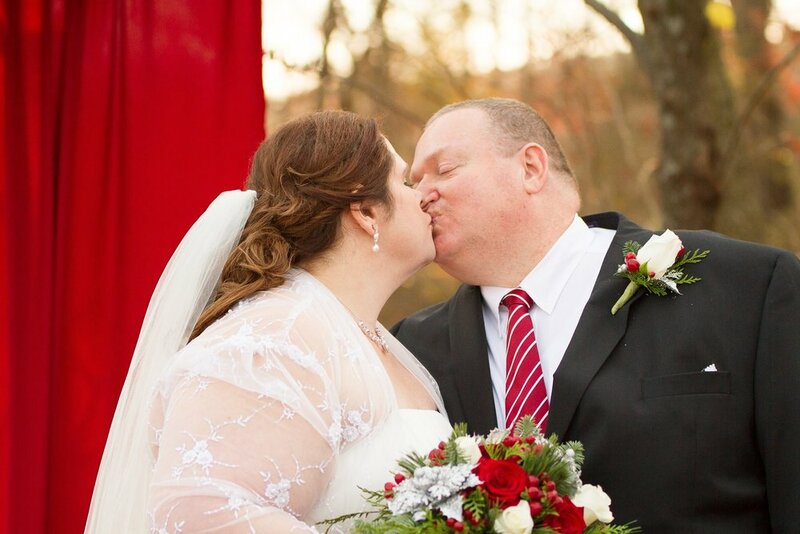 When their big day was over, they took a trip to Branson, Missouri for their honeymoon. 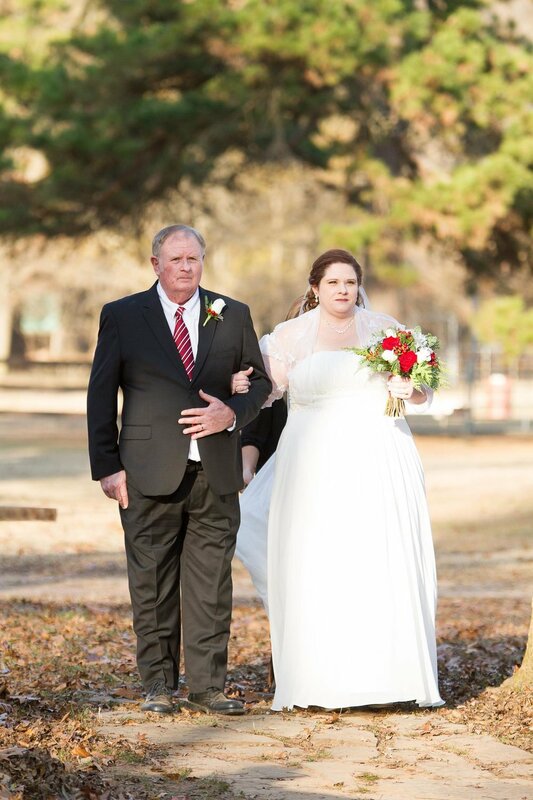 When I asked Cherie to let us know how her planning season and her wedding day went, she said, "Lesleigh was amazing. We met with her once to plan the wedding. With my Pinterest board and what I was able to tell her about before we arrived, we were able to pick the decor easily. She made everything so easy. I never imagined planning a wedding could be that easy." This is what we LOVE to hear, Cherie!! !